The start of the school year announces the end of summer, and the beginning of chaos! Or does it? As your kids get older, the more responsibilities they gain, and apparently the amount of paperwork they generate multiplies exponentially by year. How can you wrangle doctors’ appointments, team sports, play dates, and bills? 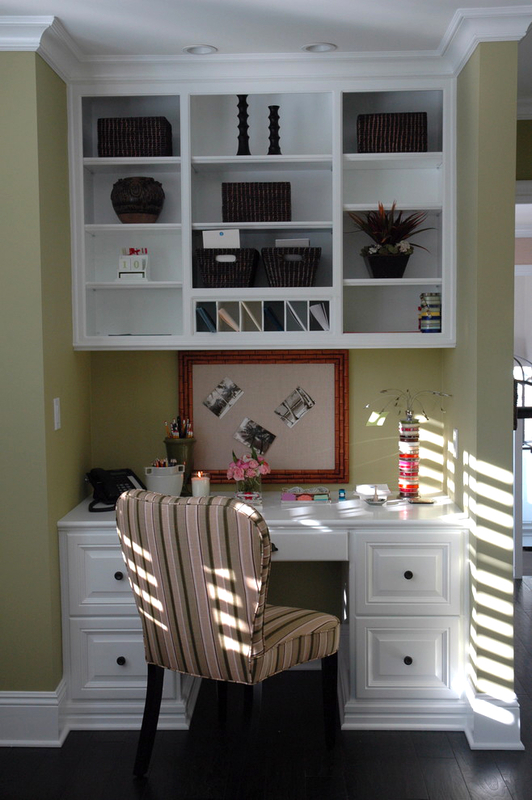 Save yourself by designing and creating an oasis of organization in a command center in your home. 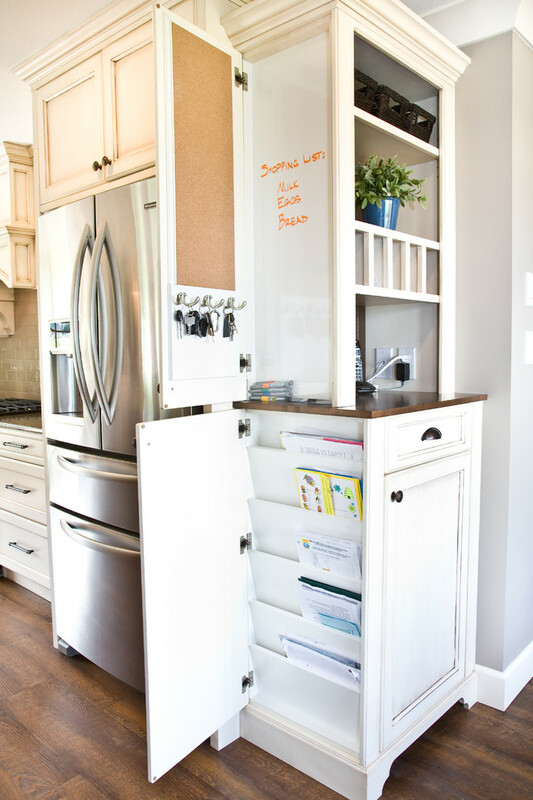 A family-oriented command center is an easy way to organizing the chaos, schedules, chores, and appointments that your whole family has to tackle. All you need at a minimum is some vertical wall space, and a couple of baskets or shelves. 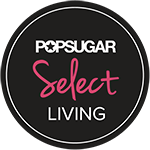 Get inspiration from places like Pinterest, or Houzz. You will notice that while everyone’s family command center is styled differently, they all have a few common core elements. 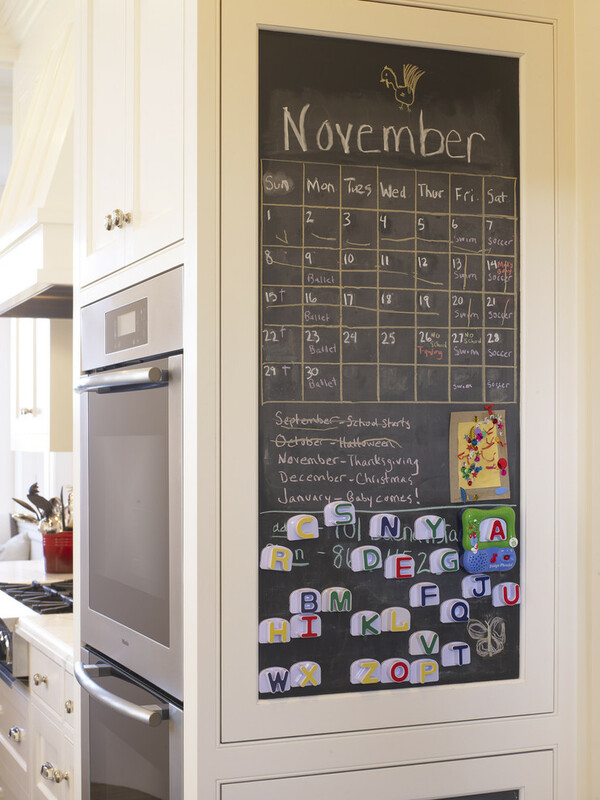 There is, always, at least one wall calendar, one basket or shelf for each family member, and office supplies readily available for writing, marking, or erasing. For wall calendars, I always turn to places like Wayfair and Staples. Before you go on a buying spree, measure out the space you want to use for your family command center. 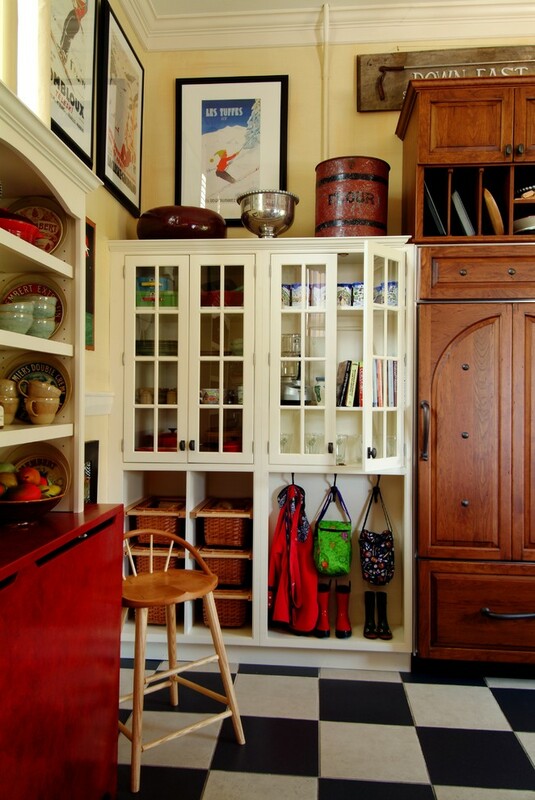 Decide whether you will mainly use shelves, baskets, or hooks, and space them out accordingly. If you buy things before you have these items properly measured out, you will be making a lot of return trips to the store. One person will be assigned one basket, shelf, or hook, and depending on their age, will be responsible for the paperwork, bills, keys, and other assorted personal items. 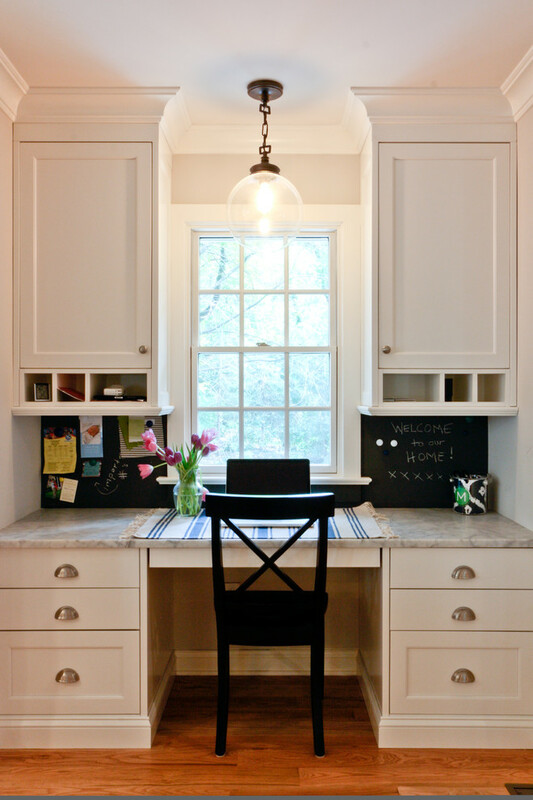 We recommend wall hooks for backpacks, and wire baskets to hold paperwork. 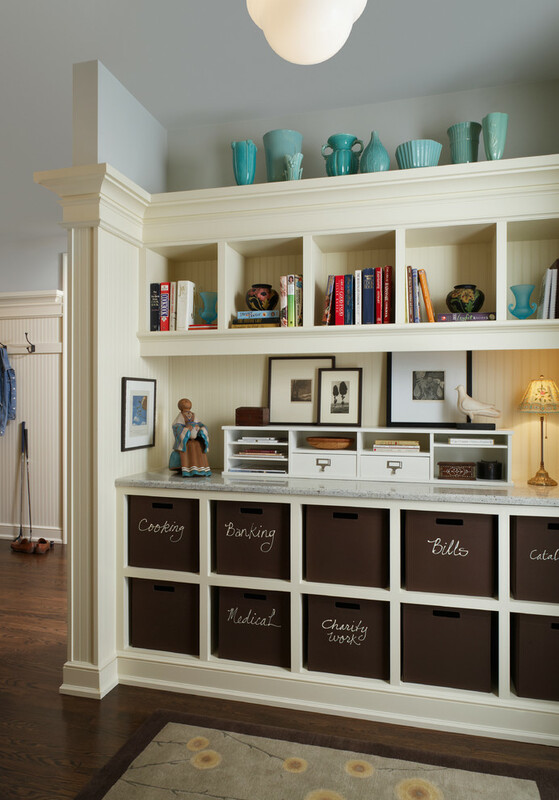 You don’t have to splurge on shelving – something simple from stores like Home Decorators or Home Depot will do the trick. Decide what will go into each person’s space – whether it’s bills, mail, homework, or field trip permission slips. Toys, junk mail, and receipts may not belong, and this is important – your kids and your spouse need to know where the other things belong, if not in the command center. This is essential to keeping your command center an organized place and prevents it from being overrun with paper piles. There’s nothing worse than having to write a check for a promised activity, and not being able to find the checkbook, or a working pen. Reuse a mason jar, and stick a few pens, pencils, and stamps in it, so that you can always find what you need. Decorate this space with inspirational quotes, family vacation pictures, or awesome images. Get creative with washi tape, glitter and paint if you like. Just remember to make sure that your decoration does not interfere with the primary organizing function of the family command center. 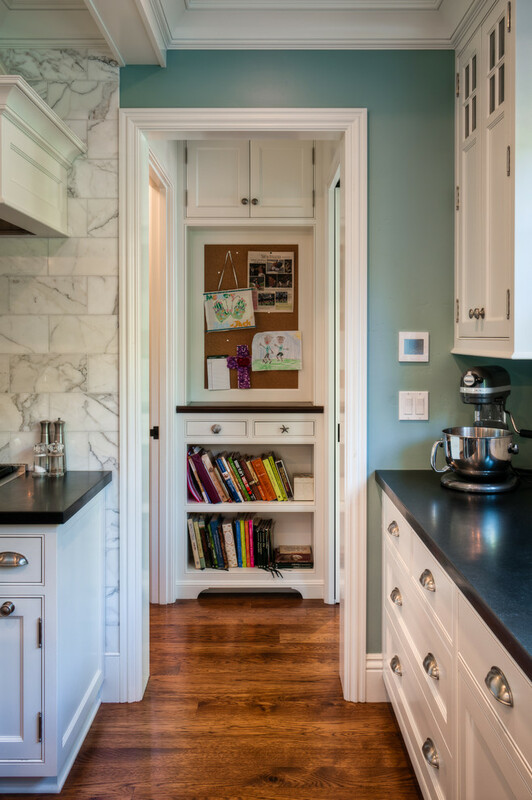 This entry was posted in Hallways and tagged calendar, command center, cubbies, get organized, hallway office, kitchen office, mini office, organization, shelves. Bookmark the permalink.